There will be again two Doritos Super Bowl ads in the Super Bowl 2015 ad line-up. The race for the $1 million prize is on for the consumer-created Doritos Super Bowl 2015 Ads. PepsiCo's Doritos brand recently published the list of 29 semifinalist consumer-created Doritos ads in the Crash the Super Bowl 2015 contest. 4,900 ads have submitted from 29 countries around the world. Doritos will start the public voting in January. Since mid-September, fans have been sharing their love of Doritos tortilla chips by creating and submitting 30-second homemade Doritos advertisements as part of the contest that will ultimately have some ads be broadcasted at the Super Bowl 2015. The maker of the Doritos Super Bowl 2015 Ad receiving the most fan votes will win a guaranteed $1 million grand prize. In addition to the money the winner gets to work as a contractor for a full year onsite at Universal Pictures in Hollywood where they will lend their creative talents to a variety of projects, including future Universal Pictures releases such as "Pitch Perfect 2" and other big comedies. I4U News picked the Top 10 Doritos Super Bowl 2015 ad submissions. Super Bowl Ads for Geeks will report again about all hot news around Super Bowl Ads. 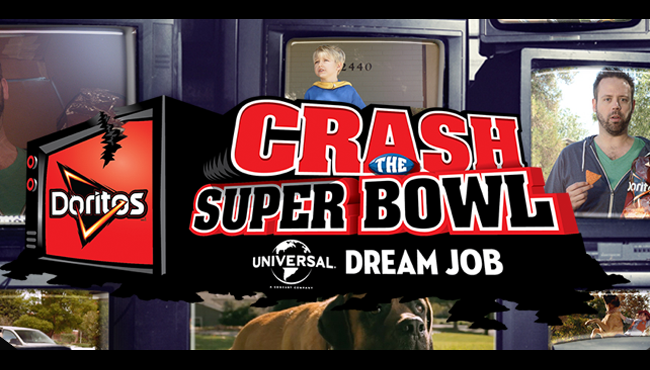 Read the latest Super Bowl 2015 Ad news.